Medicare has established a national fee schedule that comes under the National Social Security Act. This fee schedule shall be followed by the physicians based on Relative Value Units (RVU), which come under the Resource Based Relative Value Scale (RBRVS) that has been followed by Medicare ever since 1992. It is not just the physicians who need to worry about RVU, all medical transcription companies need to familiarize themselves with RVU. Medicare insists that it is mandatory that RVUs are updated every 5 years. The task has been entrusted with the Relative Value Update Committee (RVUC) by the CMS. The Medicare Payment Advisory Commission (Med PAC) was established as an independent federal body by Congress in 1997. The commission was entrusted with the task of analyzing access, monitoring the quality of care and related issues affecting Medicare. According to the RBRVS reimbursement schedule, certain values are assigned to the procedures and costs, which will depend on the total RVUs. The total RVU comprises three components, namely work (RVUw), practice expense (RVUPE) and malpractice (RVUMP). 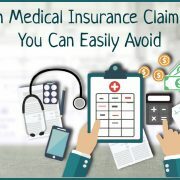 Moreover, Medicare has designated a geographic price cost index (GPCI) and payments are made based on location, and may vary accordingly. 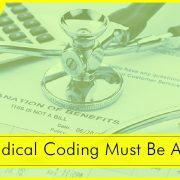 Medical billing companies need to take note of this and process billing accordingly. One other component is the Conversion Factor (CF) which is used to convert the RVU into a charge and reimbursement. The total RVU has RVUw as the major component and comprises some 50 to 53% of the RVU. RVUw can be further broken down into two elements time, which takes the major share of 70%, and effort, which comprises the remaining 30%. Time includes the time spent before the service, while extending the service, and the time spent post procedure. The effort is defined as physical effort, the skill factor, and stress undergone during the procedure. RVUPE is the next most important part, which accounts for 45% of the RVU formula. RVUPE includes non-physician, administrative and office expenses, and also includes cost incurred for medical supplies and equipment as well as expenses for accounting and legal related activities. Medicare has arrived at a per-hour cost figure based on previous surveys, and fixes the cost for RVU for each specialty accordingly. RVUs are the standard benchmark for arriving at the cost and this system of measurement is used not just by Medicare but by other third party payers as well. Of course, the quantum of payment will also depend on the sophistication of the practice, resource consumption that is measured by the RVUs.